Prime only. 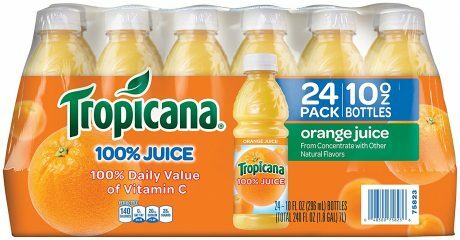 Amazon has a Tropicana Orange Juice, 10 Ounce (Pack of 24) Sale, $10.49 after clipping 'extra $2.50 off' coupon. Shipping is free. Highly rated at 4 out of 5 stars.